In part 1, I posed the question of what, conceptually, the life of type extension (LOTE) for the navy’s Collins-class submarines is. Is it simply an obsolescence-management program, allowing the Collins to degrade more or less gracefully while avoiding excessive investment in an ageing platform? Or is it a program that seeks to preserve the Collins as a frontline capability until its retirement? The question can only be answered as part of a coherent overall transition model. The obsolescence-management approach might (just) be compatible with a transition model that seeks to get us out of the Collins business as soon as possible (transition option 1 in my study Thinking through submarine transition), but it doesn’t seem compatible with a transition model that seeks to increase our submarine capability as soon as possible in response to escalating strategic uncertainty (transition option 2). Why would we extend the service life of all six boats but not give them the capability enhancements necessary to keep them as a frontline fighting force? Aside from the capability benefits, one of the advantages of option 2 is that it provides a buffer against delays in the future submarine program. And whether we like it or not, the evolving future submarine schedule seems to be moving us from option 1 closer to option 2. In my transition study, I assumed we would get useful capability from the first future submarine from 2032. 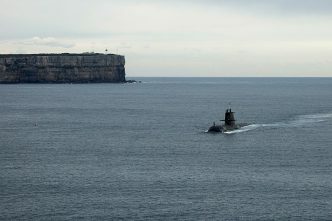 At this month’s Submarine Institute of Australia conference, Rear Admiral Greg Sammut, the head of the future submarine program, presented a program schedule that suggests the first future submarine won’t complete trials until around 2034 or 2035. That view is consistent with comments from the chief of navy. But if events are moving us from transition option 1 to option 2, we should also be moving away from an approach to capability that simply manages a process of graceful degradation. There is a second, related question, which is when will the LOTE take place? In the transition tables in Thinking through submarine transition, I drew on Defence officials’ Senate testimony about the LOTE, which essentially presents it as an additional round of full-cycle dockings—the third for the Collins—starting in 2026, giving each submarine a further 10 years of service. But if the LOTE is about enhanced capability and not just additional service life, why should it be tied to a particular point in time? If these submarines really are one of our pre-eminent strategic capabilities, why we would accept a schedule that only delivers the full, enhanced Collins fleet by 2038, which is when the final full-cycle docking on the sixth boat would be completed? A final round of full-cycle dockings will be required, but the capability enhancement delivered by a LOTE doesn’t necessarily need to completely coincide with them. I don’t want to get into the interminable terminological disputes that pervade Defence about LOTEs versus mid-life upgrades versus capability assurance programs, but it does seem that the term LOTE doesn’t fully describe what we need to do with the Collins. It may be more useful to regard the LOTE as a mindset, or philosophy, that is focused on doing whatever we can, whenever we can, to enhance the Collins’ capability. The presentations at the SIA conference suggest that, despite the policy vacuum, Defence has begun to work with industry to see what’s possible with the Collins, and industry is generating many exciting ideas about how to enhance its capability. But if enhancements are worth doing, then perhaps Defence should start doing them as part of the current round of full-cycle dockings—or as part of mid-cycle or intermediate dockings that will occur well before the final round of full-cycle dockings. It was also clear at the conference that industry is putting a lot of thought into exploring commonalities between the Collins and the future submarine. 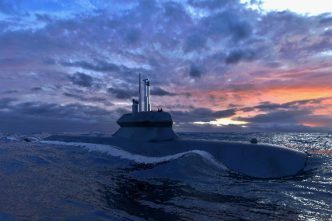 There are opportunities to de-risk the design of the future submarine by using the Collins as a testbed and allowing Collins crew to train on the systems they’ll be using on the future submarine (such as non-penetrating optronics masts). Perhaps the benchmark of what’s possible in this regard is the Swedish navy’s submarine transition; many of the key systems that will be installed in its new A26 have already been installed on its predecessor, the Gotland, in its recently completed mid-life upgrade. It’s unlikely that such a high level of commonality will be possible between the Collins, with its Swedish design heritage, and the French future submarine, but we need to think creatively in the quest to keep the Collins as a viable frontline capability. 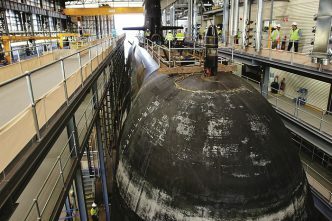 And part of that creative thinking may involve inserting future submarine systems into the Collins well before its final round of full-cycle dockings begin. There has been discussion about acquiring an interim submarine to prevent a capability gap. 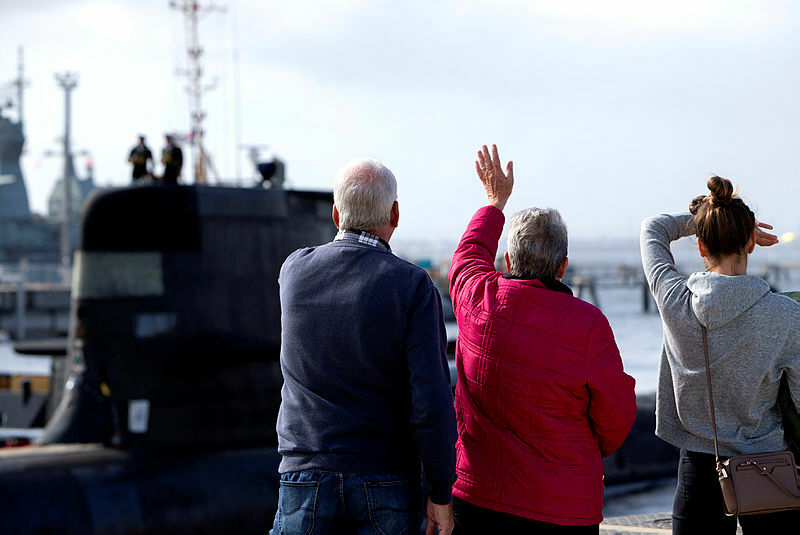 I would argue that introducing a third submarine into what is already the most challenging capability transition that Defence has ever undergone is an unmanageable risk. It is the Collins itself, creatively and continuously enhanced, that offers the best prospect for an interim capability. Moreover, while crystal ball gazing is inherently dangerous, an enhanced Collins provides some mitigation against a range of future scenarios. Say we get to 2030 and it becomes more and more apparent that large submarines crewed by dozens of personnel are too risky a proposition for undersea warfare. 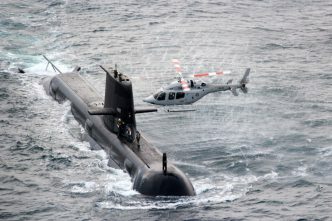 We could dial back investment in future submarines that would be in service until the 2080s knowing that the Collins and a small number of future submarines could provide our undersea capability during transition to a future made up of unmanned systems or a mix of manned and unmanned systems. Who knows what the future will bring—the point is that an enhanced and extended Collins provides options to limit risks in the transition to whatever future we find ourselves in. Of course, a program that keeps the ageing Collins as a frontline capability for another 30 years will cost more than one that simply lets it gradually fade away. But it’s clear from the most recent Coles report on sustainment of the Collins that, despite the dramatic progress towards international benchmarks in its availability, there’s still some way to go in affordability. There’s potentially more to be learned about cost consciousness from small operators who go far on the smell of an oily rag, such as the Swedes. However it’s done, sustainment costs need to be brought down and the savings need to be put towards capability enhancements. But before a transition plan can be developed, the government needs to decide what it wants from the transition. Is it trying to get out of the Collins business as quickly and cheaply as possible? 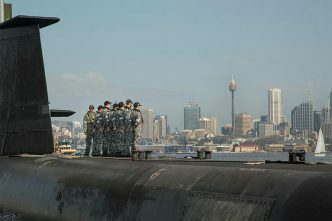 Or is it trying to enhance Australia’s submarine capability as soon as possible to meet the challenges of an era of strategic uncertainty?